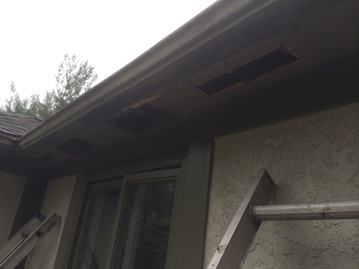 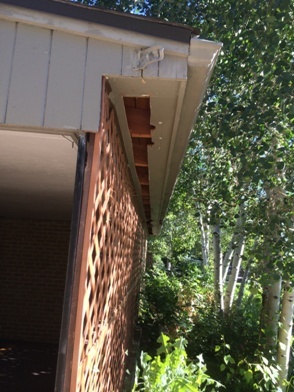 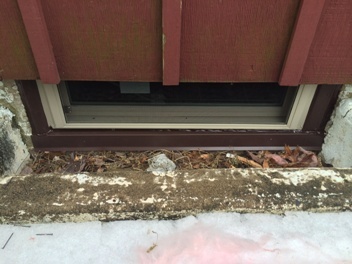 THE SQUIRRELS WERE BECOMING A MAJOR PROBLEM HERE AS THEY CHEWED THROUGH THE FACIA BOARD BEHIND THE GUTTER IN SEVERAL SPOTS GAINING ACCESS TO THE HOMEOWNER’S ATTIC. 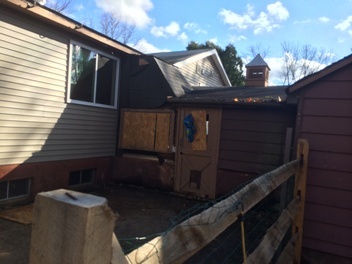 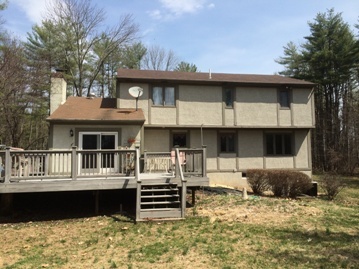 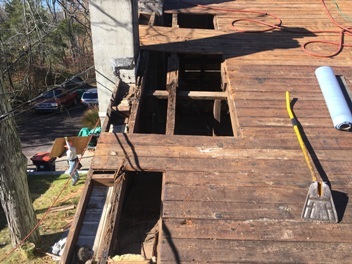 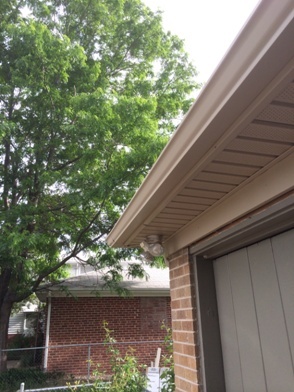 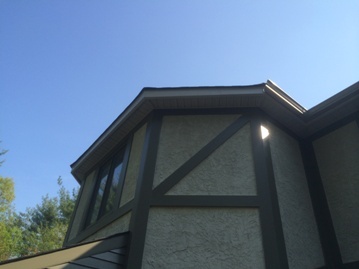 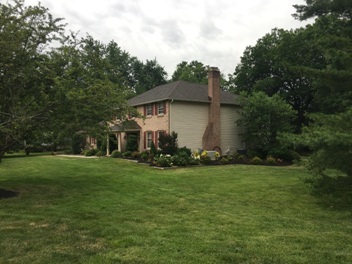 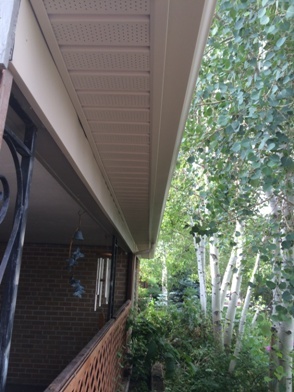 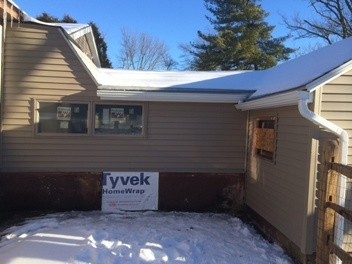 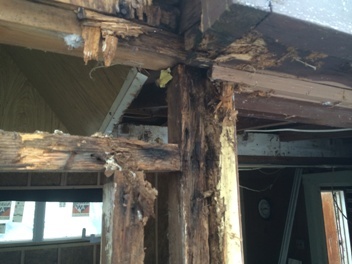 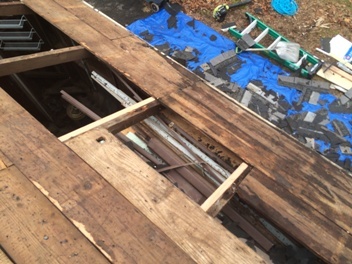 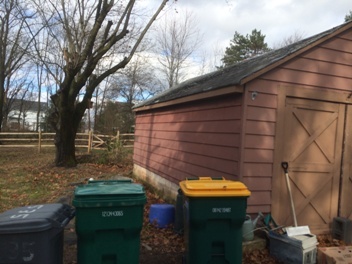 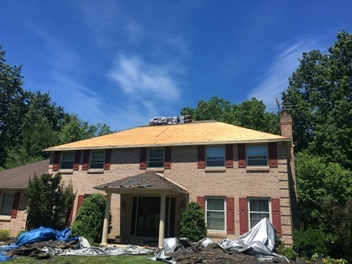 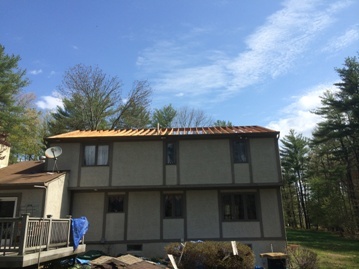 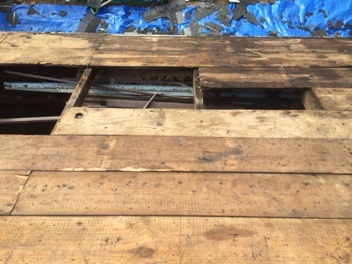 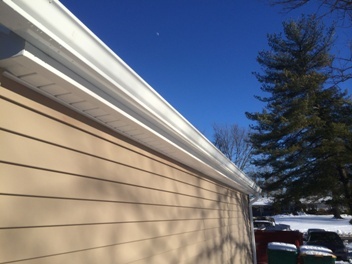 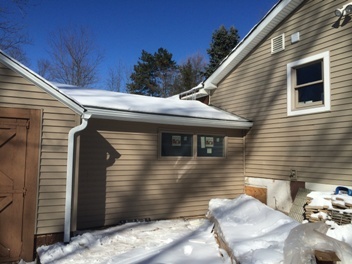 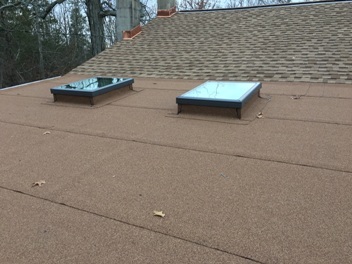 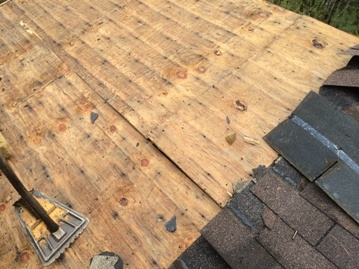 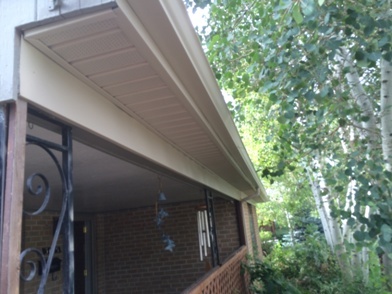 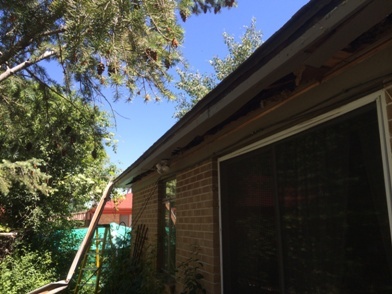 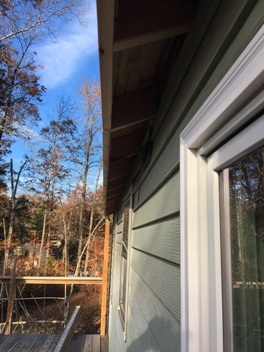 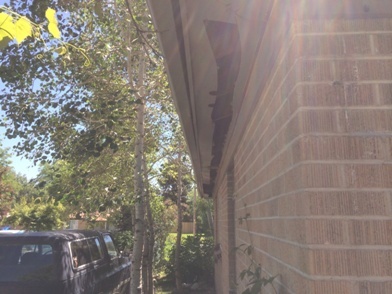 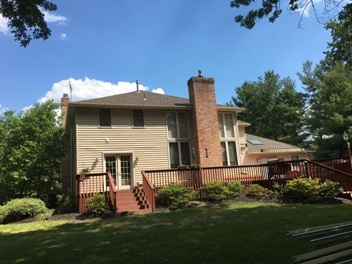 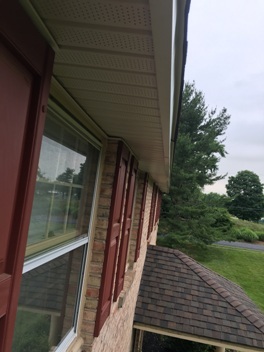 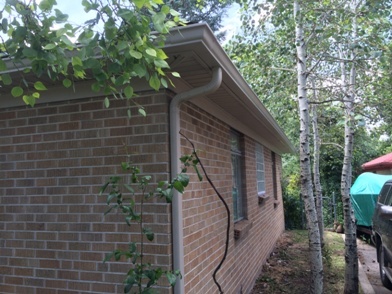 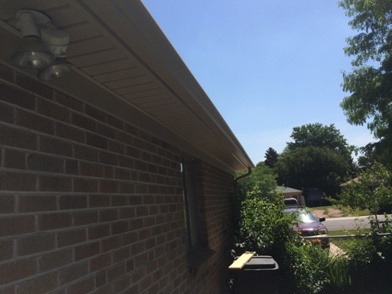 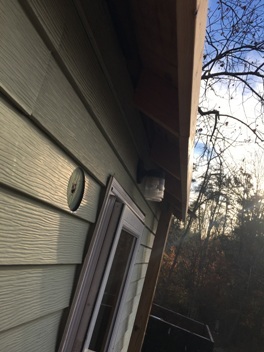 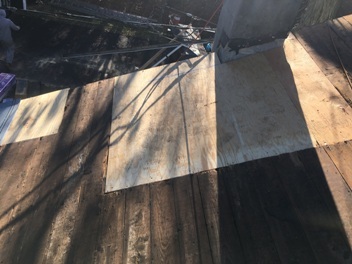 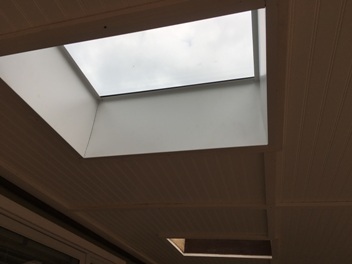 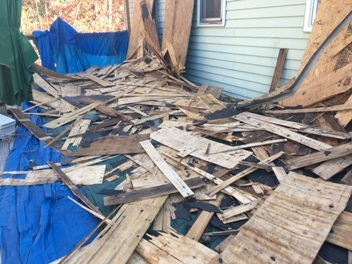 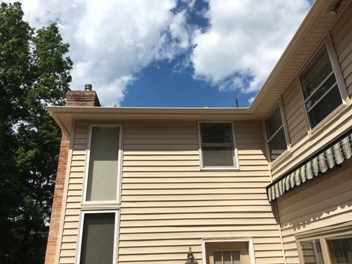 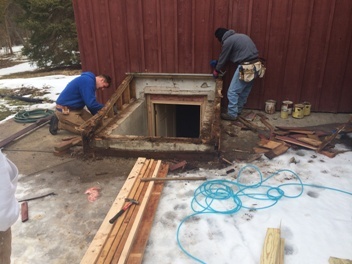 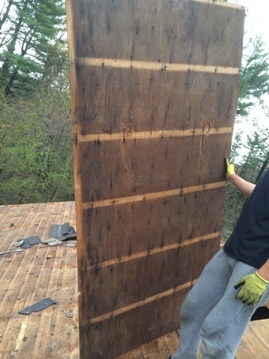 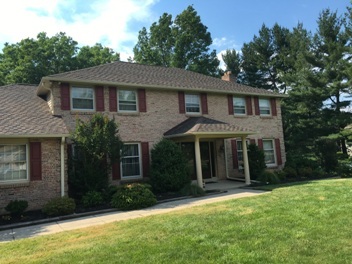 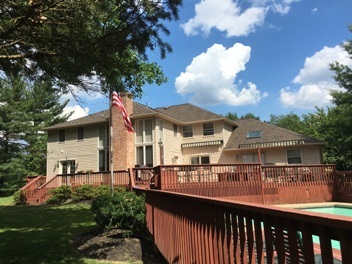 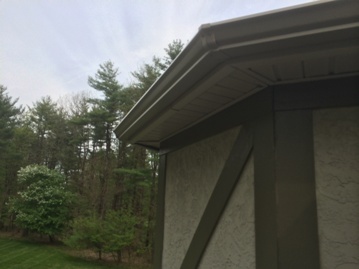 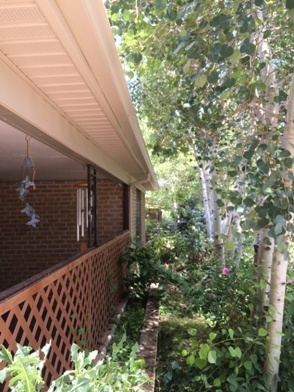 THE RAFTER TAILS IN A FEW PLACES WERE DAMAGED AND THE FACIA BOARD DROPPED A GOOD 3 TO 4 INCHES WHICH STOPPED THE GUTTER FROM FUNCTIONING PROPERLY. 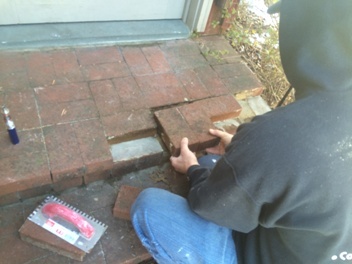 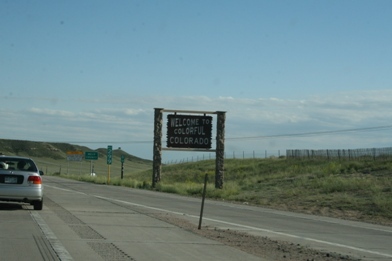 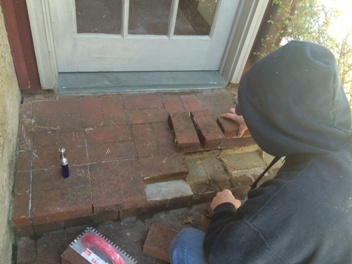 ALSO SOME OF THE SLATES HAD BEEN BROKEN BY ALL OF THE ACTIVITY. 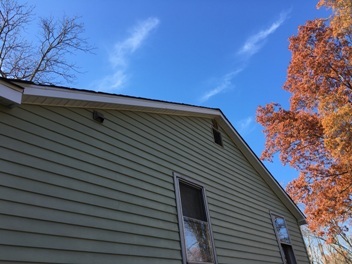 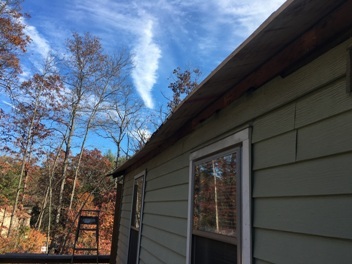 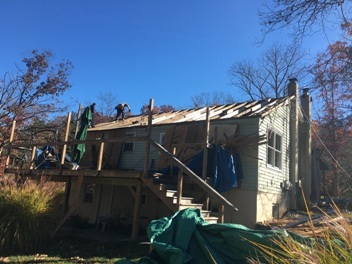 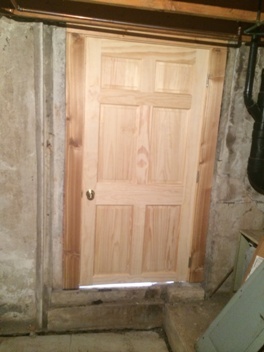 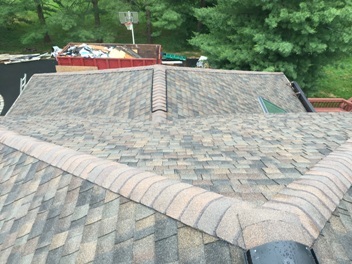 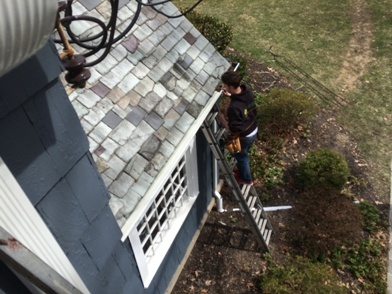 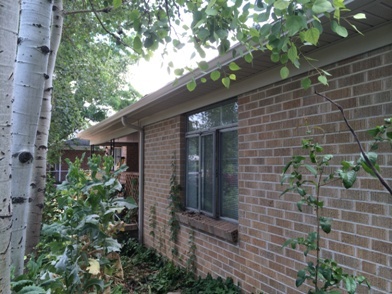 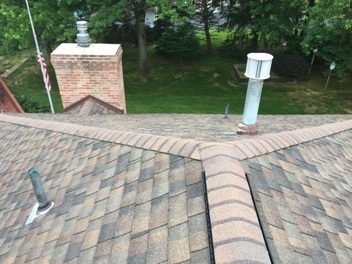 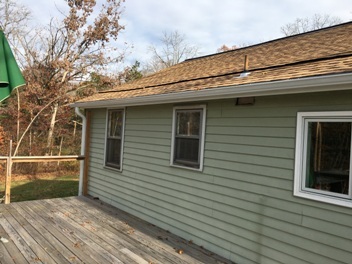 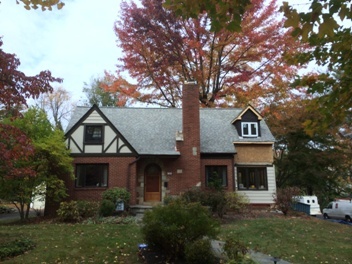 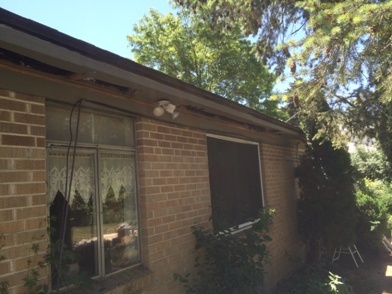 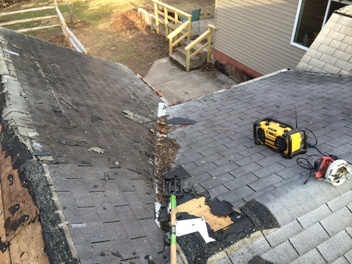 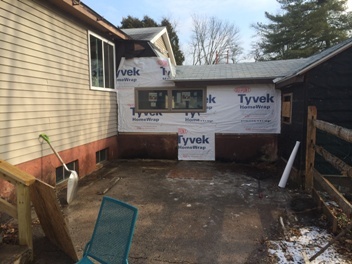 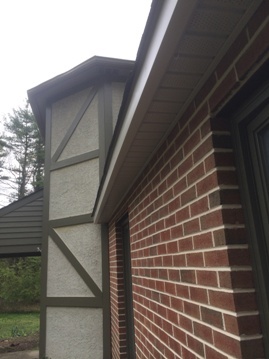 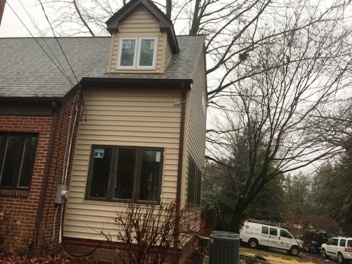 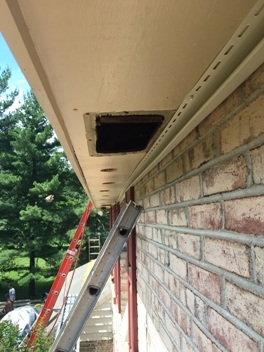 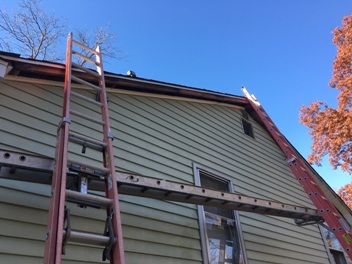 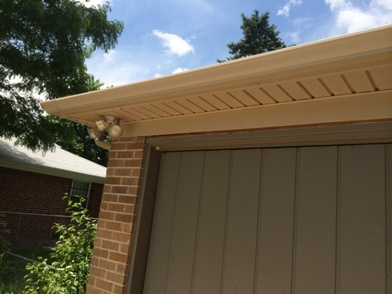 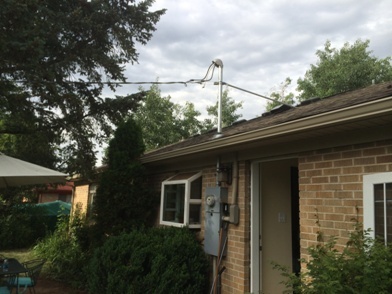 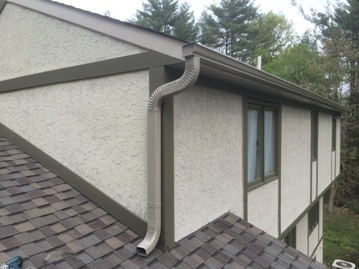 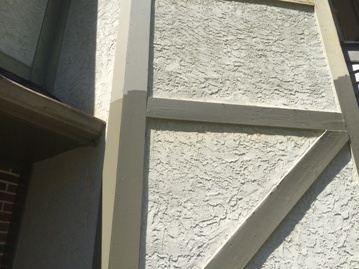 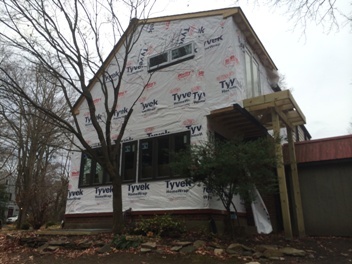 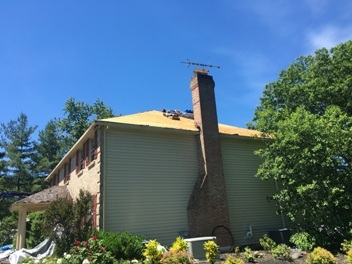 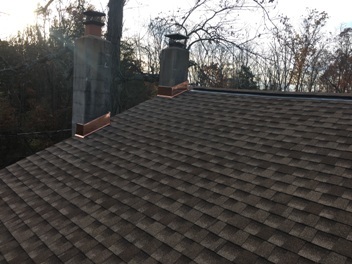 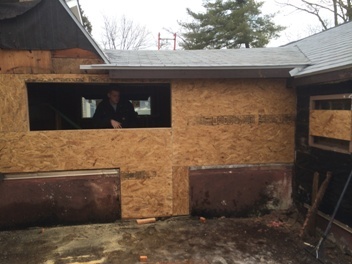 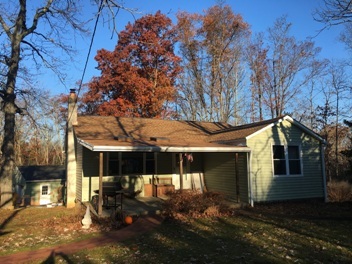 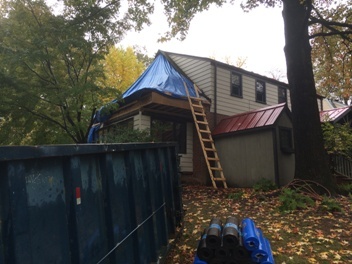 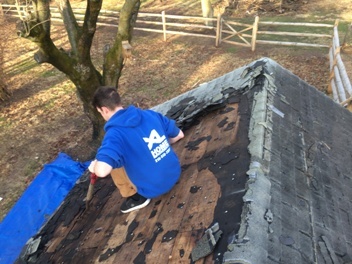 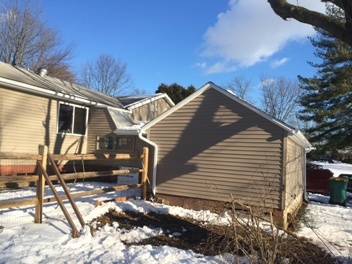 WE WERE ABLE TO REMOVE THE GUTTER AND FACIA BOARD TEMPORARILY, SISTER THE RAFTER TAILS AND RE-INSTALL, RAISING THE FACIA BACK INTO PROPER POSITION. 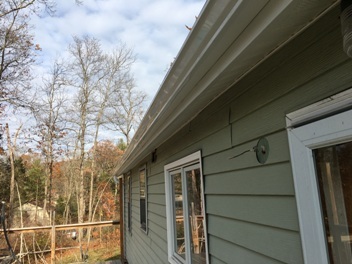 THEN WE CAPPED THE FACIA WITH ALUMINUM TO PREVENT ANY MORE CRITTER DAMAGE. 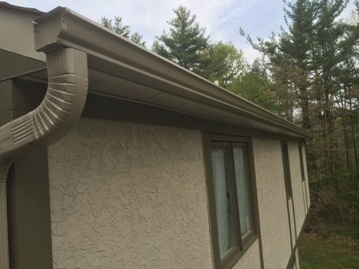 THE GUTTER NOW FLOWS FROM SIDE TO SIDE PERFECTLY! 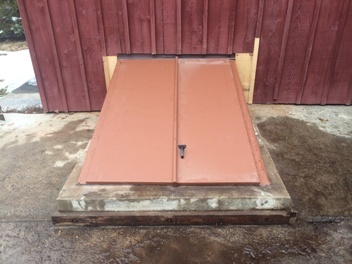 …PROBLEM SOLVED! 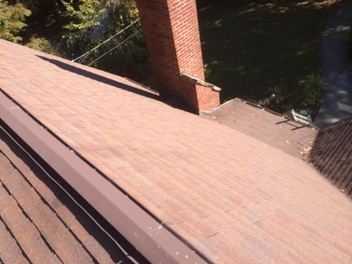 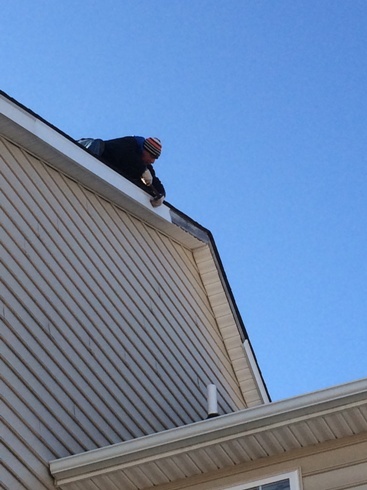 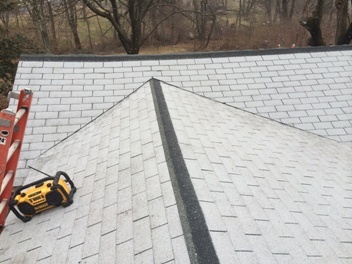 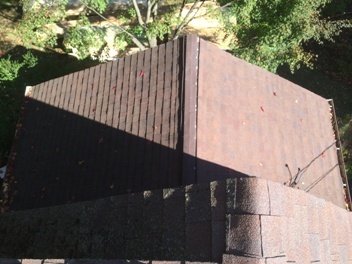 WE REPLACD THE DAMAGED SLATES AND INSTALLED LEAF RELIEF GUTTER SCREENING. 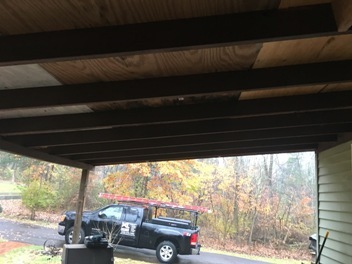 PRETTY MUCH THE ONLY SCREENING SYSTEM WE WILL USE AS I HAVEN’T FOUND A BETTER ONE. 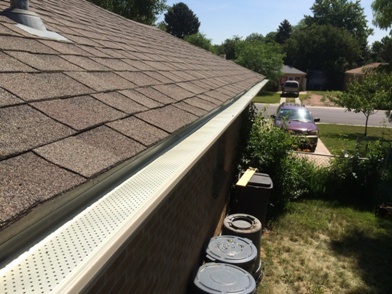 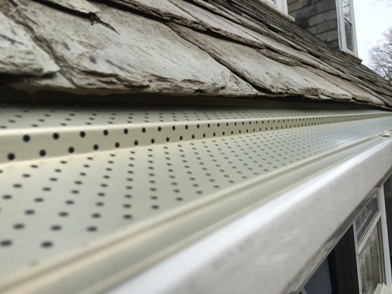 WE ALSO INSTALLED LEAF RELIEF SCREENING SYSTEM TO THE REST OF THE HOUSE. 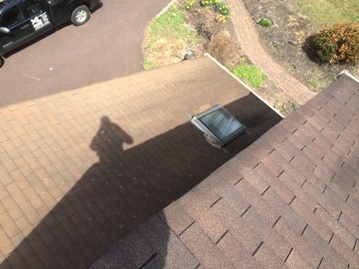 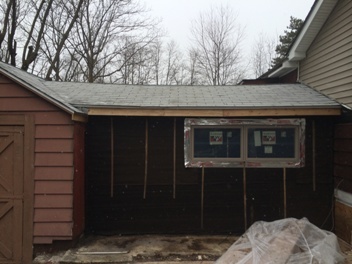 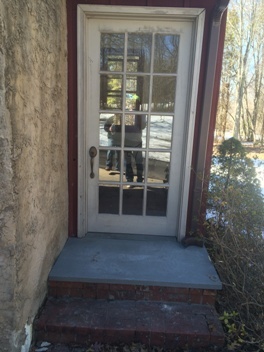 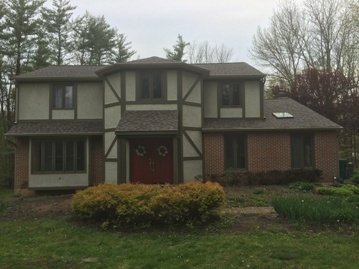 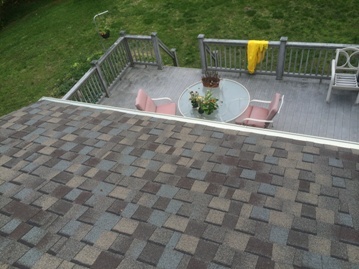 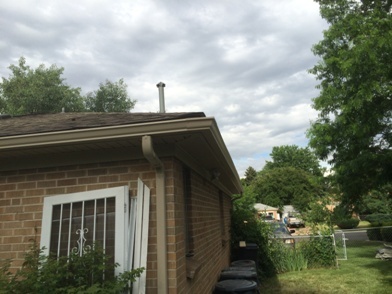 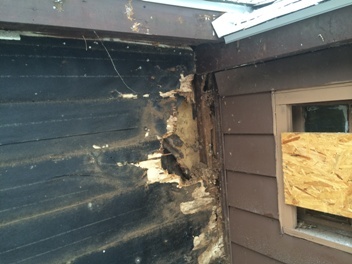 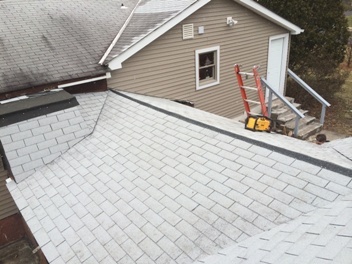 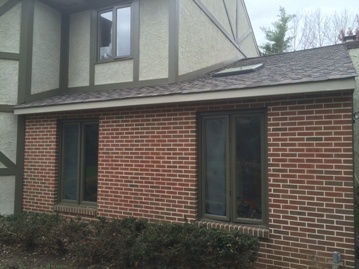 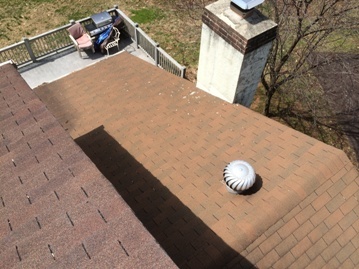 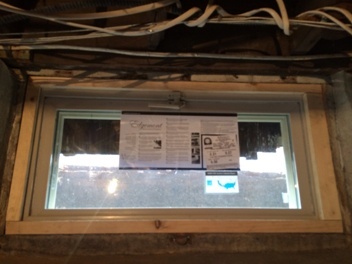 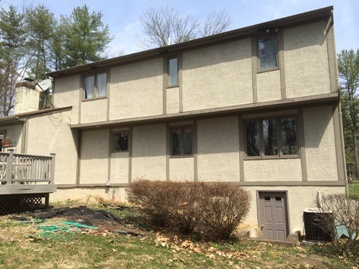 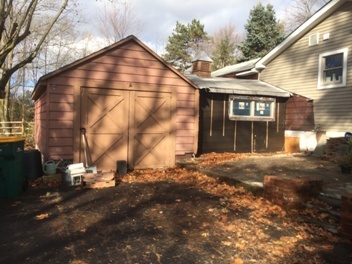 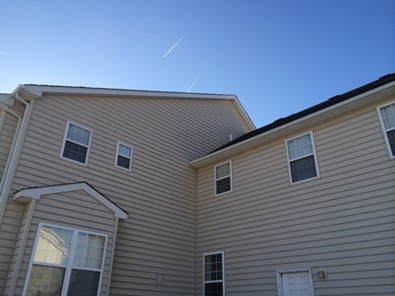 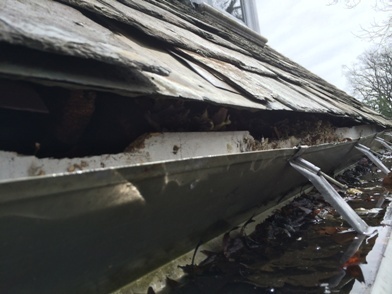 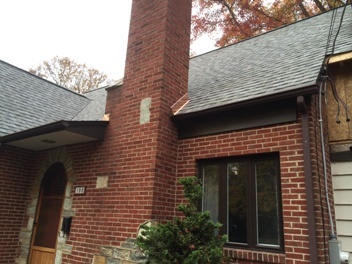 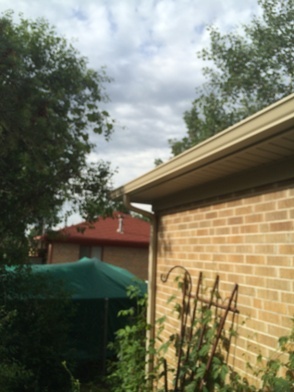 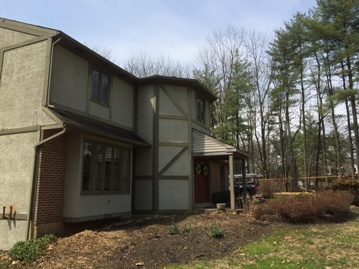 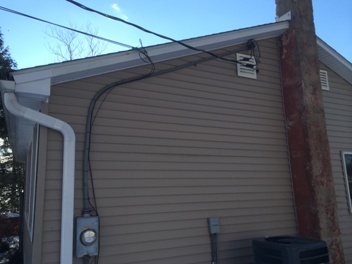 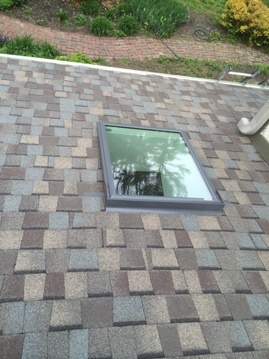 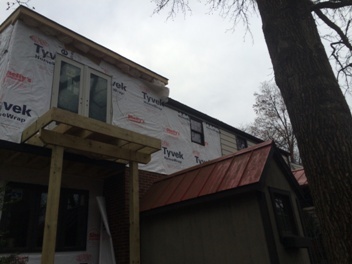 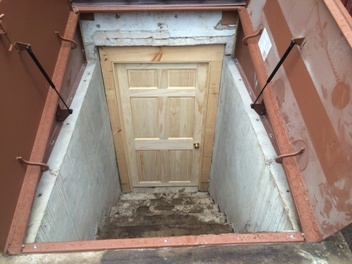 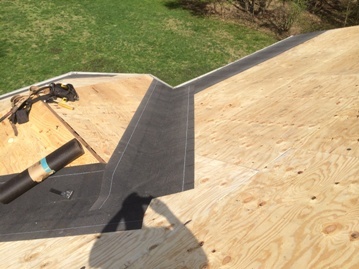 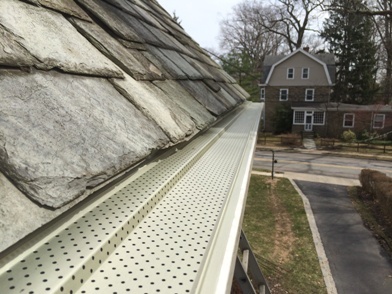 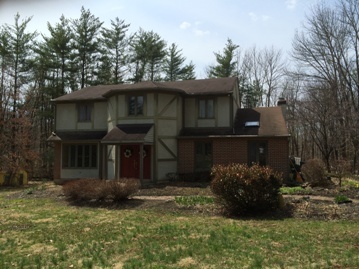 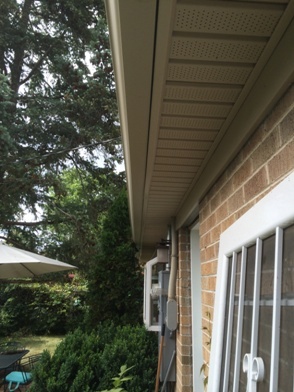 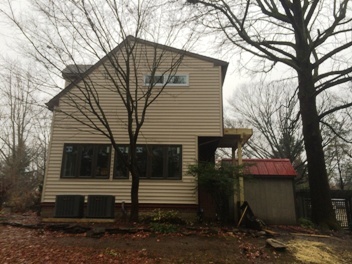 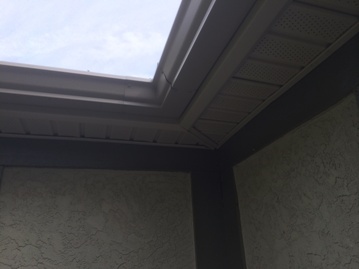 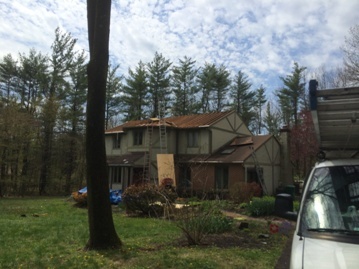 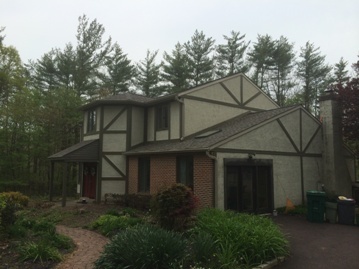 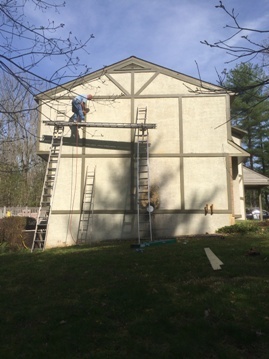 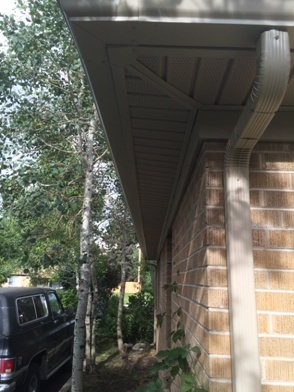 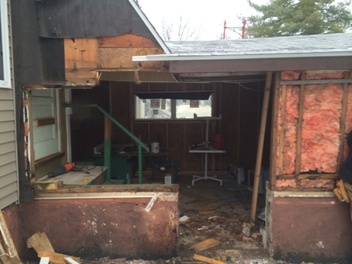 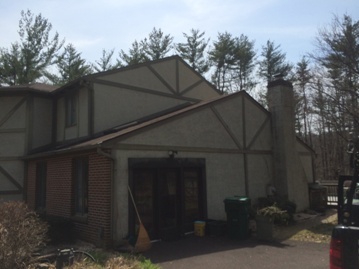 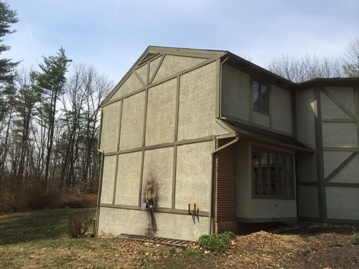 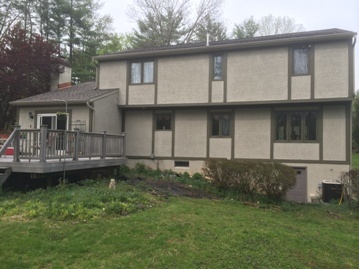 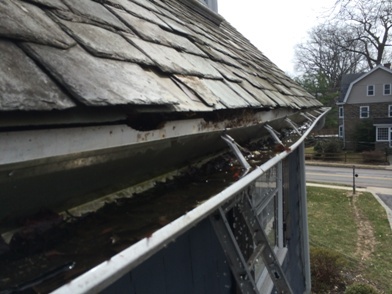 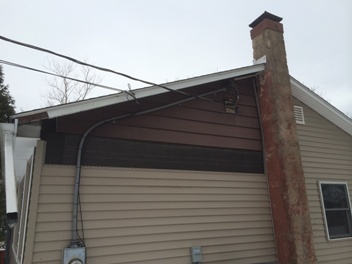 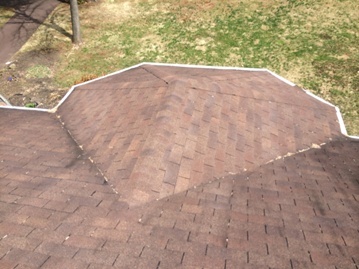 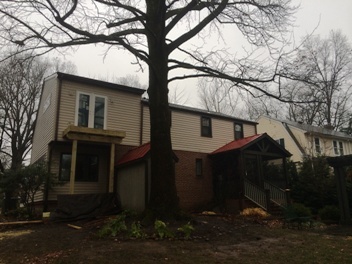 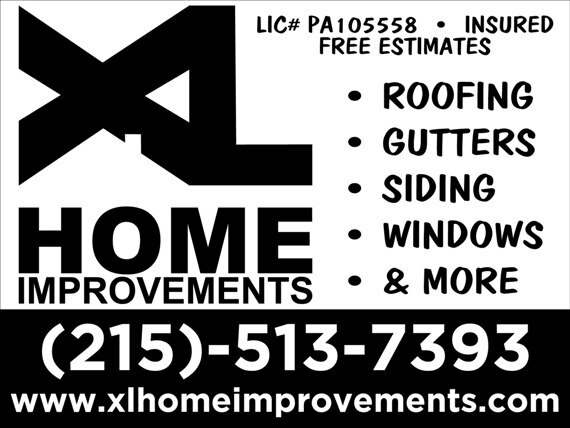 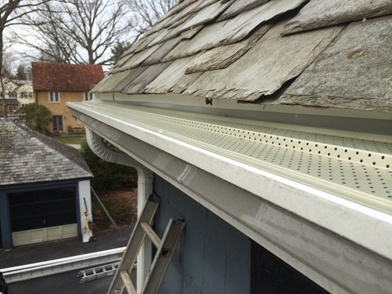 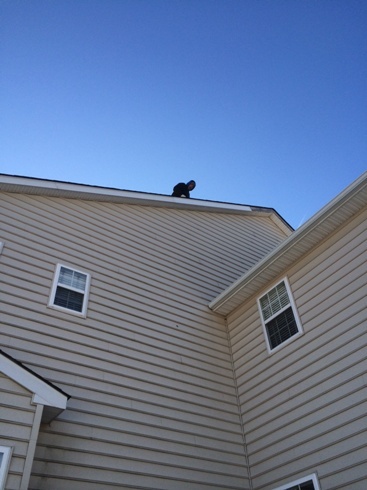 This entry was posted in ALUMINUM CAPPING, GUTTERS, ROOF REPAIR, SLATE REPAIR on April 6, 2014 by Rut327. 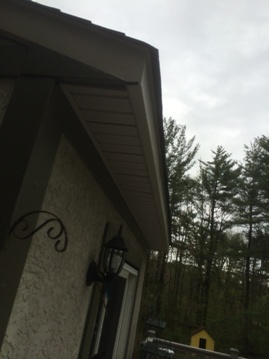 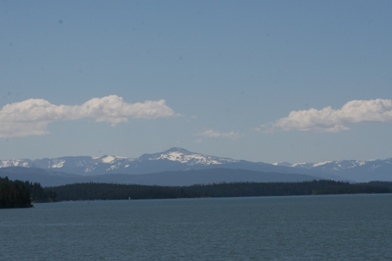 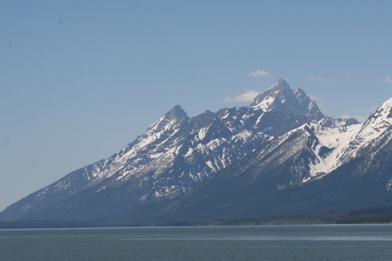 This entry was posted in ALUMINUM CAPPING on March 23, 2014 by Rut327.